When selecting a duty boot, it can be hard to find a design that provides both performance and polish. Sometimes you find a pair with performance features you need but looks more like an athletic shoe than a component of a professional uniform. And sometimes you fi ... (see full details) (see specifications) #25733. When selecting a duty boot, it can be hard to find a design that provides both performance and polish. Sometimes you find a pair with performance features you need but looks more like an athletic shoe than a component of a professional uniform. And sometimes you find duty footwear that looks professional but feels like a dress shoe. Danner knows you need professional performance so they deliver these Danner Men's 8 Inch 25733 Scorch Side-Zip Duty Boots. When it comes to performance, this Scorch boot has it all. Danner built this 8-inch duty boot to work, from the bottom up. The Danner Scorch is ready for anything with a slip-resistant outsole that will help keep your feet planted firmly on the ground. It would be nice to think all your work will take place on a clean, dry surface, but we know that you’re more likely to be called to action on wet, oil-slick streets and damp grass. The Scorch helps you move with confidence. 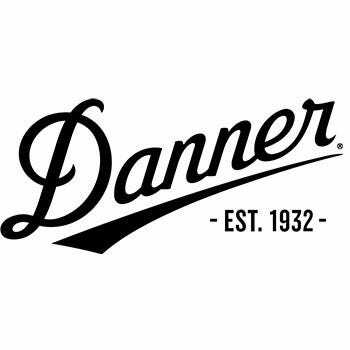 Danner keeps these boots light with a the Plyolite™ midsole, which adds both comfort and durability to hold up to tough wear. For lightweight stability, the Scorch is built with a nylon shank and is designed with a stability control arch. Inside the footbed, the Danner Scorch side-zip boots greet your foot with the Ortholite™ footbed for cushioning comfort that you’ll appreciate as the shift wears on. Up top, the Danner really performs with an upper that's lightweight and breathable, thanks to special die-cut panels in a design that really lets the air in and the heat and sweat out. We’re not talking little air vents here. The panels occupy significant space on both the vamp and the shaft, front and back. These Danner men's boots will help keep your feet cooler and drier all through the day. The side-zip footwear also features Danner® Dry waterproof protection to help your feet stay dry during less-than-ideal situations. These Danner Scorch tactical boots ratchet up when it comes to good looks. Danner balances good looks with performance by giving this design a toe that you can polish. You get the best of both worlds - the breathability found in performance athletic footwear and the polish you want to give you a sharp, uniformed appearance. Danner built this uniform boot for convenience, too. There’s a pull tab at the back for easy-on-and-off. And the lacing system includes four eyelets and four speed hooks to make fastening and adjusting a breeze. Side zippers provide the ultimate convenience. You can lace them up for a custom fit and slip them on and off in a flash - it’s a super feature, especially if you ever get a spare minute for a quick breather. If you’ve been looking for a black duty boot that also offers professional shine, plus convenience, the Danner Men's 8 Inch 25733 Scorch Side-Zip Duty Boots are your boots. Order yours today from Working Person’s Store and take your next shift in a boot made for you. Danner Boots: Men's 8 Inch 25733 Scorch Side-Zip Duty Boots is being added to your cart.